Vikings: Wolves of Midgard breathes some fresh life into the popular, yet often stagnant, Action RPG genre by incorporating trademark aspects of different game genres. It you can forgive some rough edges, it’s a fun romp. Vikings: Wolves of Midgard (henceforth, Vikings) casts the player as a Viking Chieftain on the rise to fame and fortune. Over the course of the story, players will find themselves fighting everything from wolves to humans to fantastical Norse creatures in a mission-based format. The story itself isn’t extremely strong (though Kalypso did take the extra effort to make it fully voice acted), but it works as a tenuous thread to hold the missions together as you gradually find new members for your clan. Honestly, for games of this type, a strong story is not generally expected nor even necessarily desired, so this isn’t a major strike against the game. Action RPGs (or ARPGs) live and die by their gameplay and progression system, so that’s a much greater concern here. At its core, Vikings is an Action Role-Playing Game (ARPG), along the likes of more well-known franchises such as Diablo and Torchlight. 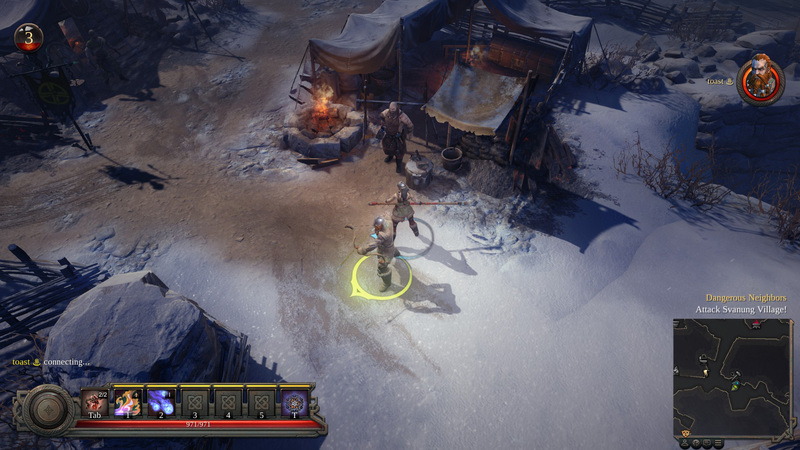 Players level up their characters through killing hordes of enemies and completing quests, choose skills from a skill tree, and are primarily driven by the siren’s call of ever-better loot. These are the types of hallmarks of ARPGs. From the moment a seasoned ARPG player begins playing Vikings, however, it will become clear to him or her that it doesn’t live up to the polish of other ARPG giants. 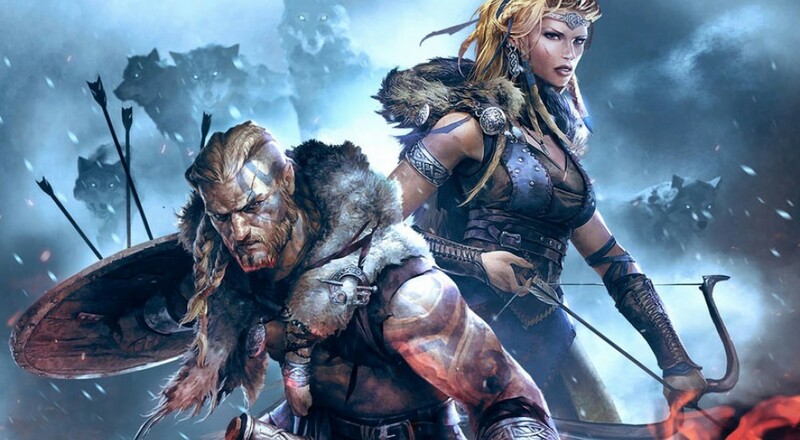 Rather than attempting to directly compete with the standard ARPG game style, however, Vikings pulls a clever move in incorporating elements from games of other genres. From Dark Souls to Monster Hunter to MOBAs, Vikings throws a little seasoning from each of them into their ARPG broth. Instead of enemies instantly granting invisible XP to the player, they drop “Blood” that both works as collectible XP and small healing pick-ups. This is simultaneously a nod to arcade games like Gauntlet (ground drops that restore health) and games from the Souls series (Blood must be spent at Altars in order to level up). If you die and are not resurrected by a friend, you lose all the Blood you collected since the last map checkpoint. Your healing talisman also works similarly to Estus Flasks, as it has only a limited number of charges, but it can be refilled at healing wells (which are fairly plentiful on the mission maps). The itemization system is also a bit different from the standard ARPG, instead opting to go along a trading and bartering route. While enemies will sometimes drop items, the most common drops are iron, wood, and gold. A combination of these are needed to buy gear at the Stronghold’s various merchants, but instead of a piece of gear in a shop being outright sold to you for your materials, functionally it’s actually a type of blueprint, with the item being crafted on the spot. You know the general type and range of the item you’ll get (e.g. 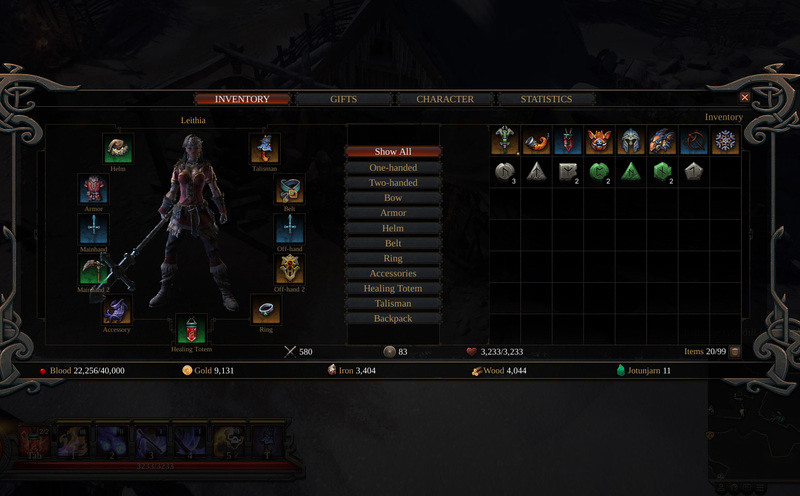 a piece of Cloth armor for the torso slot with a base armor value of 24), but you won’t know its exact stats. You might roll health regeneration or extra armor, or even get lucky and craft a better than expected rarity. Lastly, the skill system borrows from the MOBA format with characters only possessing five active skills that unlock over time with new tiers of those skills becoming available at pre-determined levels. Page created in 1.2125 seconds.